If you’re looking for a vacation then you are in the right place to find the best cruise deals or vacation packages sale offers, including coupons & promo codes from major cruise lines. Browse the current last minute cruise deals and vacation packages specials. Find some of the best cruise offers, coupons, discounts and promotion codes, to pay the lowest price for your vacation. – 60% OFF Second Guest + 30% off 3rd and 4th Guest. Valid on cruise only. New bookings only. – 2 to 5 night cruises from $249. 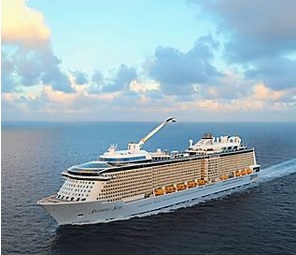 – 50% OFF for Second Guest + up to $100 to spend at sea. – Up to $200 OFF Caribbean Cruises when you stay 6+ nights. – 50% OFF When You Buy 1 + Up to $50 on board credit. – 20% OFF for last minute cruises on Tuesdays and Wednesdays. – 7 night Caribbean Cruises from $349. – Earn points with Royal Caribbean Visa Signature card. Receive 10,000 Bonus Points after making a qualifying transaction in the first 90 days of account opening – worth $100 in onboard credit. Earn 2 points per $1 spent on qualifying purchases with Royal Caribbean and our sister brands. Earn 1 point per $1 spent on all other purchases. Senior Citizen Specials – get offers deals on certain cruises for for senior citizens. – VIFP Club Member Deals – join the club and get special cruise offers, and benefits like collectible Carnival items, invites to members-only cocktail receptions, priority boarding and more. Receive two category upgrade is based on availability in like to like categories only. – Up to $680 OFF for 3 to 8 days cruise room booking on More=Merrier rates for 3+ guests. – Cruises from $69 per person per day, save $30. – 4 Day Bahamas cruise from $1608 on average per person from Miami, FL, and $102.4 for taxes, fees and port expenses. Travel between 07/12/2018 – 07/16/2018. – 10% OFF Shore Excursions + Up to $1,000 on Board Credit with Cruise Direct Booking. – 4 Night Western Caribbean Cruises starting at $194. – 3 Night Baja Mexico Cruises starting at $189. – Free stateroom upgrade + 50% reduced deposit when you book a cruise vacation for 3 days or longer + $300 to spend onboard once booked and checked in online, and also save up to $1000 when you book air and cruise together. – 3-Night Bahamas Cruise on Norwegian Sky with Free Unlimited Bar From $329. – Up To $500 Free Onboard Spend + Choose Up To 5 Free Offers. – Book a select cruise to any of the destinations below and receive 1 additional Latitude Rewards point per night, plus up to $100 USD Free Onboard Spend based on stateroom category. – 7-day Hawaii Cruise From $1499. – Get a Free Beverage Package at Norwegian Cruise Line. – Get Free Wi-Fi at Norwegian Cruise Line. – 10% off Your Order. – Take $5 off any cruise at Embarcadero. Use Promo Code: SDCC5D. Not valid on holidays or special events. – $250 off celebrity cruise. Use Promo Code: cvs010. – Award-Winning Bermuda Vacations – 7 Night Cruises from $799. – Alaska Cruise Sale – starting from $599. – Equinox Endless Summer – Caribbean Cruises starting from $699.